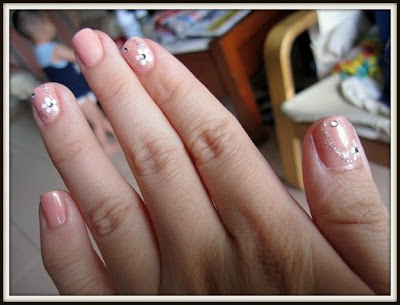 Thanks to Mun Yi's Christmas present, I've got beautiful nails. My first time doing nail art. Oohhh, and I like 'em short and sweet.